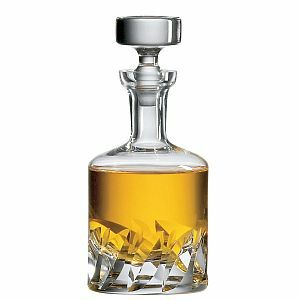 Although we focus on whiskey decanters and decanter sets, many people also look for Port decanter set. Decanting Port wine is necessary to remove the sediment at the bottom of the bottle which is basically dead yeast cells and also grape skins, seeds and stems in case of vintage Port wines that can be 30 or 40 years old. The other reason is to allow the wine to come in contact with oxygen and let it blossom and aerate. These are the best Port decanter sets on the market we personally tested and can recommend. Oenophilia Porto Decanter Set is a beautiful Port decanter set made from hand blown glass. 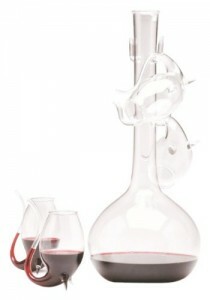 This decanter set consists of the main decanter and 4 sippers, all together shipped in nice gift box. The shape of sippers date back to the 17th century when they were known as Schnapps Pfeiffen. The dimensions of the product are 6 x 6 x 11.5 inches, while it weights slightly over 9 ounces. 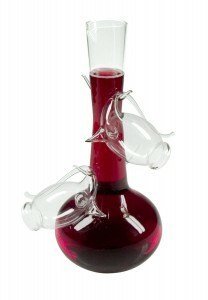 The decanter easily holds 1 bottle of wine (750 mililiters or 32 ounces). The sippers are well enough for 3 ounces of the port wine. The design of the whole set is extremely fancy and it’s a real joy to sip the Port wine from these glasses. The small glasses are very delicate and elegant and hang from pegs on the decanter. This is a wonderful gift for everyone who enjoys either port wine or liquors. Fox Run Argyle Port Decanter Set is another amazing product that allows you to enjoy fine bottle of Port wine. This set again includes the Port decanter and set of 4 sippers. The decanter set is made from hand blown glass from scientific toughened glassware. The set is heat resistant and also dishwasher safe for easy cleaning. The dimensions of the decanter are 8 x 6 x 12 inches and it weights 1.6 pounds. The price is also very affordable for this decanter set. This is great and elegant way to enjoy sipping your favourite Port wine. If you don’t require the Port decanter or you already have one, you can purcase also these beautiful Port sippers. 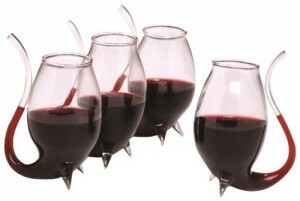 The glasses have very unique design which enhances the flavour of the wine while you sip it. These Oenophilia Porto Sippers are created from durable hand-blown lead free glass. It is recommended to hand wash the glasses as they are quite delicate but you don’t have to worry about breaking them with proper use. The sippers come in a gift box and are perfect way to enjoy your precious bottle of Port wine.